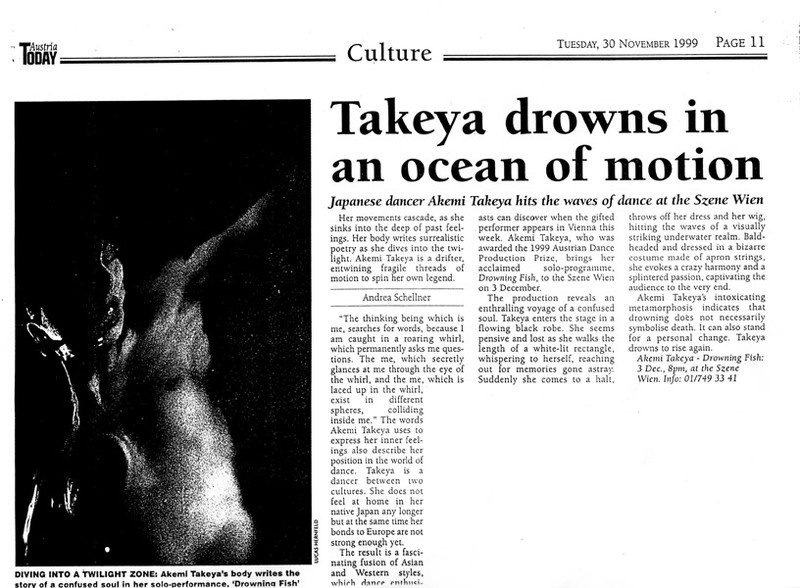 Upon the death of my friend, I increasingly began to question myself with ever more evasive queries about life and death. 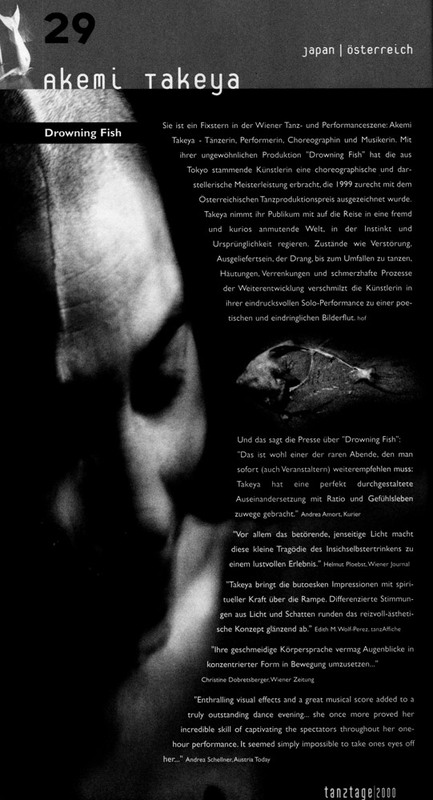 I completely immersed myself in the visual effect of a water-reflection projected onto the floor, I was metamorphosing in a special journey. 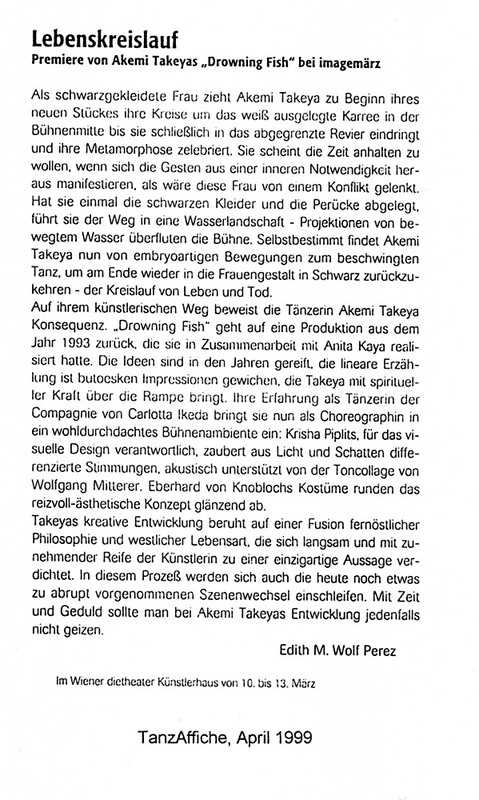 She is a fixed star in Vienna’s dance and performance scene: Akemi Takeya – dancer, performer, choreographer and musician. 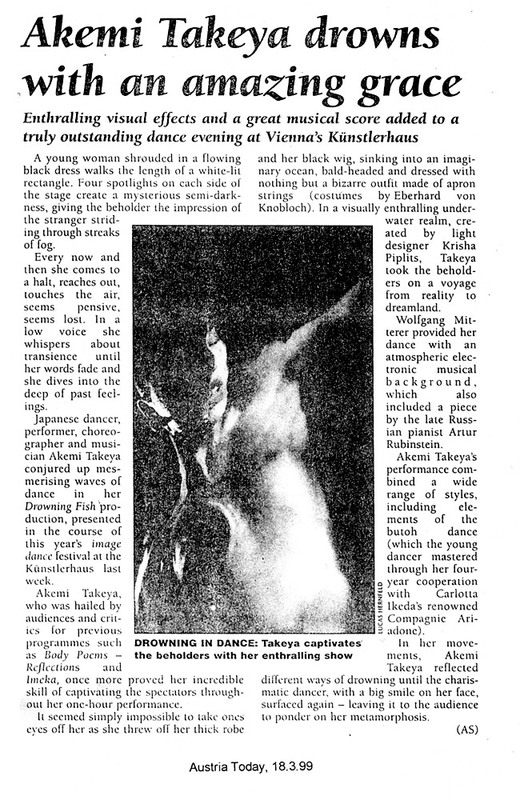 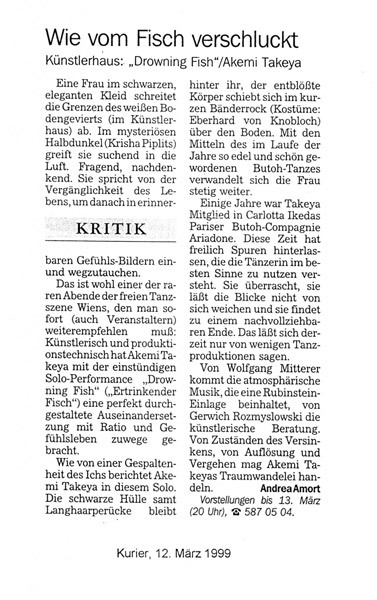 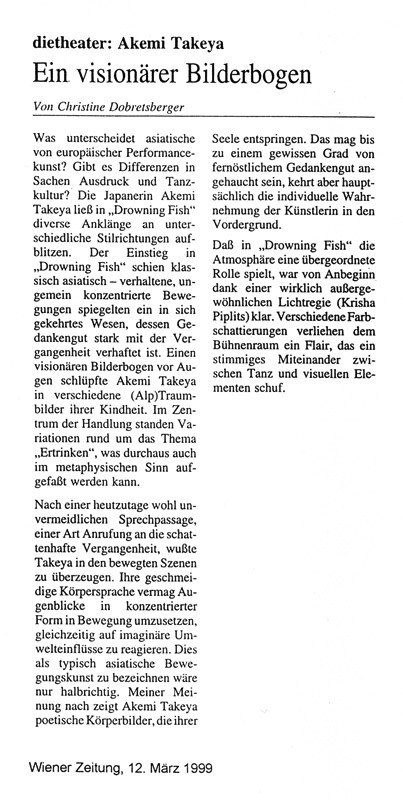 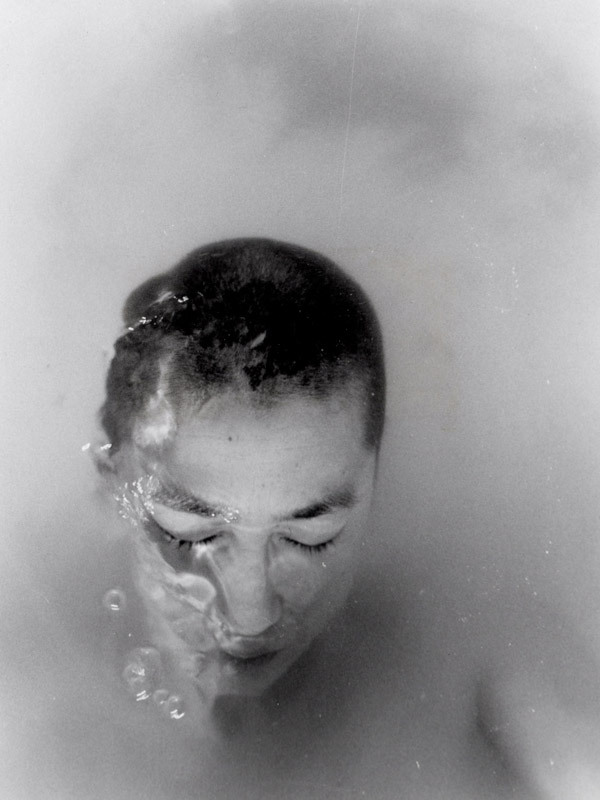 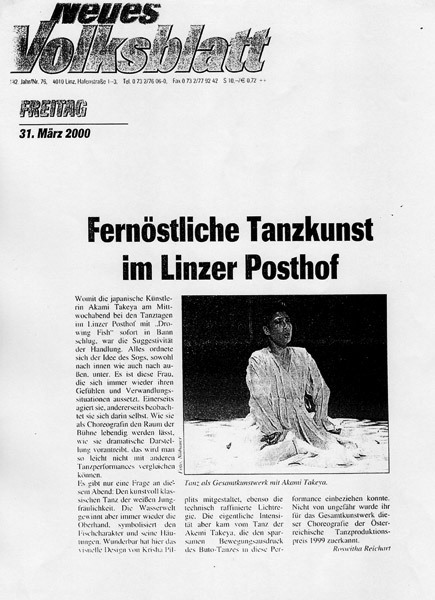 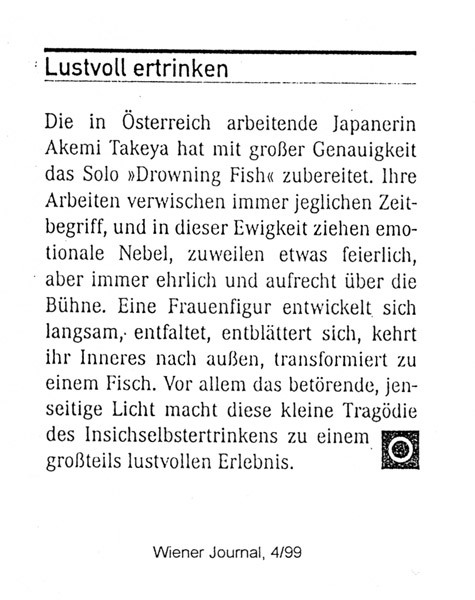 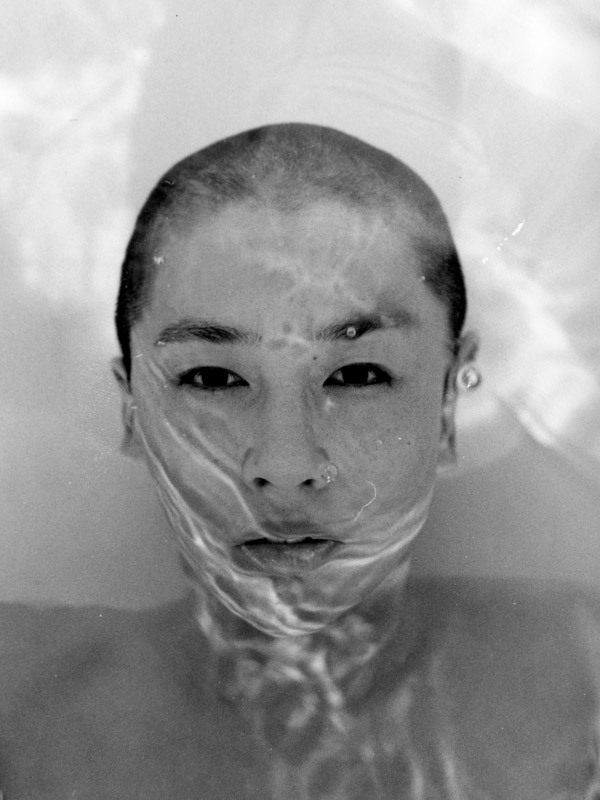 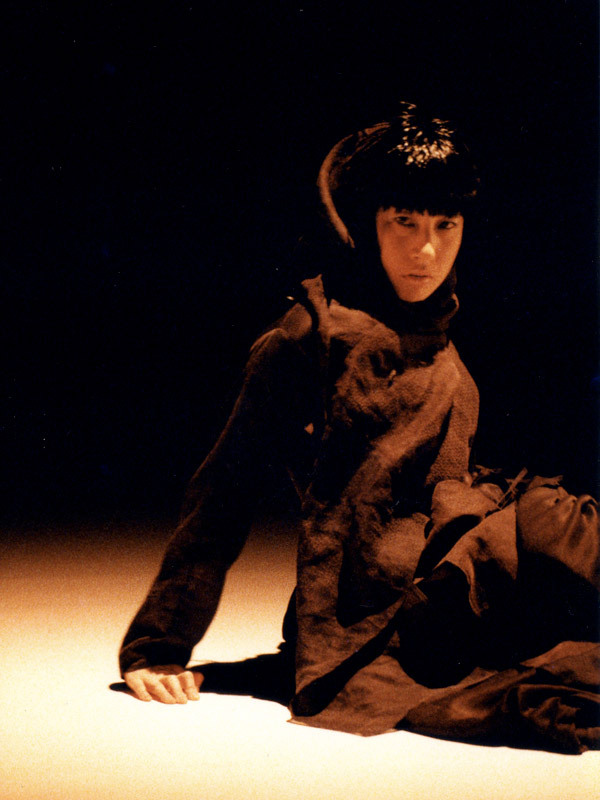 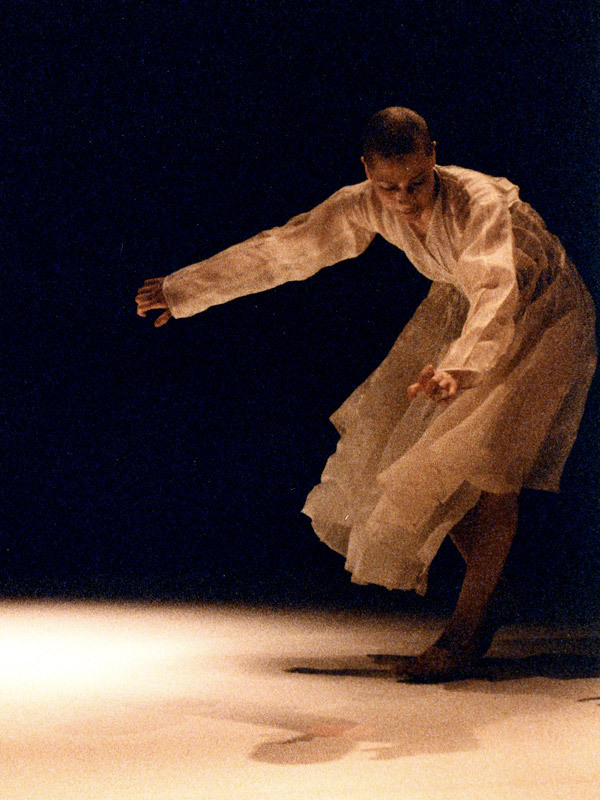 With her extraordinary production “Drowning Fish”, the artist who originally came from Tokyo has shown an achievement in choreography and performance which rightfully was awarded the Austrian Dance Production Prize in 1999. 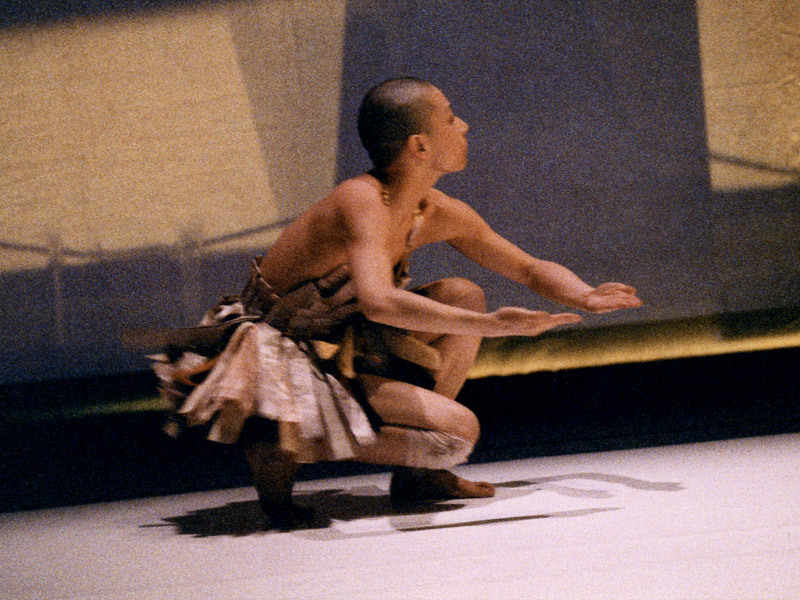 Takeya takes her audience on a journey into a world seemingly alien and curious, where instinct and originality reign. 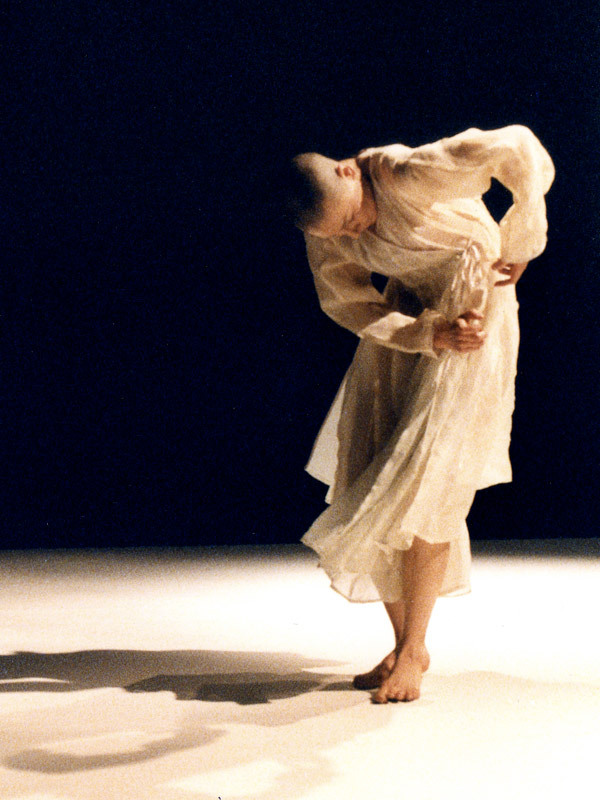 In her impressive solo performance, the artist forges together states like disorientation, victimisation, the urge to dance to oblivion, skinnings, distortion of limbs and painful development processes, into a poetic and intense flood of images.